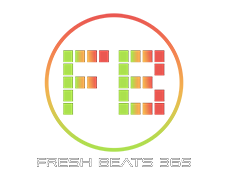 Fresh Beats 365 is all about one thing: new music. Whether you’re a new musician yourself or simply wanting to find your next favourite act, we’re here for you. The musical world is ever-expanding so it’s easy for great artists to slip under the radar. The purpose of this site is to keep you up to date with as many new acts as possible. But it’s more than that. If you’re a new artist, this site can support you even if we’re not necessarily reviewing your track. With features like Band Aid (advice articles for new artists), Band Stand 101 (artists sharing their own insights) and Mainstream Analyses (seeing what new artists can take from popular new releases), Fresh Beats 365 aims to serve new artists and help them to develop into the superstars of tomorrow. We run all types of reviews, interviews with new artists, and monthly listings of our top tracks. If you’re a new artist or you represent a new artist and would like to be featured, please see our contact page.